Click Promotions and Discounts to open the section. Under All Promotions on the left of the section, click at the end of the coupon code row. 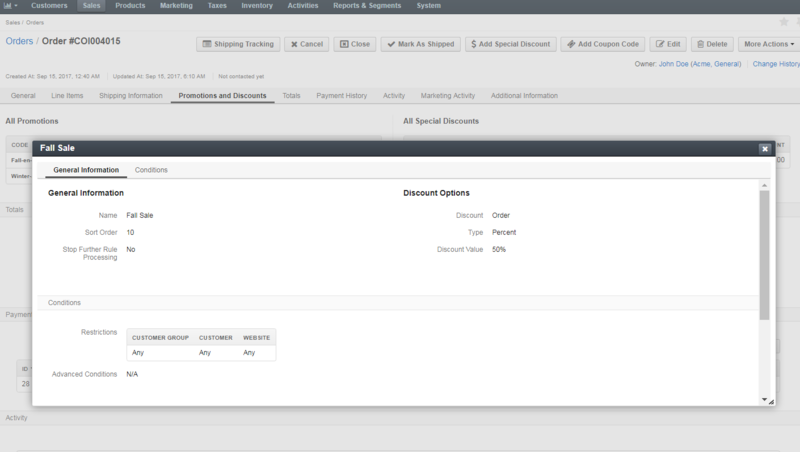 In the popup that opens, you can view the details of the selected coupon, as illustrated below.